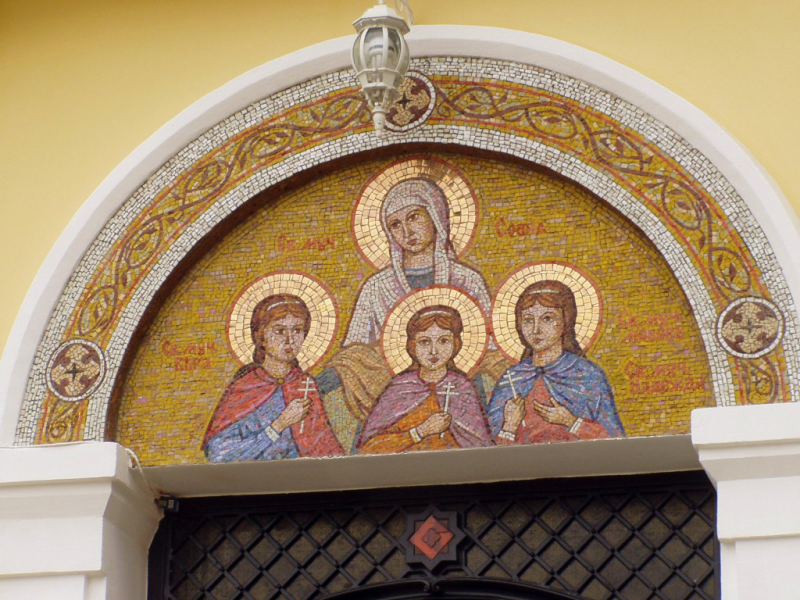 I congratulate you all, dear brothers and sisters, with today’s celebration of the memory of the Holy Martyrs Faith, Hope, Love, and their mother, Sophia. The liturgical texts repeatedly draw our attention to the fact that these holy martyrs’ names repeat the order and titles of the virtues that Holy Scripture sets at the cornerstone: Faith, Hope, and Love. Today, therefore, on the feast day of these holy martyrs, let us give thought to what these virtues mean, what they teach us, and to what they call us. Holy Scripture itself, when speaking of these virtues, arranges them in ascending order. One grows from one virtue to another: from faith to hope, from hope to love, and then to wisdom. How is this so? Let us give first attention to faith: what kind of word, what kind of action, is this? We very often use this word, especially in church circles, but we use it just as often outside the Church. We say what we believe in: in ourselves, in our dignity, in our ability, in our talents, in our abilities, and in our success… We also say that we believe in the people around us; we also often believe in imaginary, contrived spiritual mirages and phantoms. We believe (or some of us believe) in signs, in horoscopes, and in Incan predictions about the end of the world… We believe in our politicians… What don’t we believe in! This very quality of faith, therefore, stands in need of clarification. What should faith be like in order to be authentic? Here we cross over and take another step: to hope. 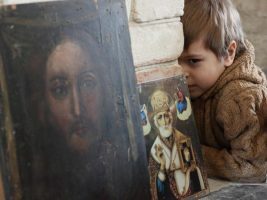 Someone has firm faith only when he finds that his faith is addressed to something living – to something alive, with which he can establish a relationship, with which he can be united. We discover that we do not only have our intentions about life set out before ourselves, before our conscience, and before those around us, but we also discover a certain response from the side. We discover that our expectations and hopes have a certain foundation in reality: whether the people around us are able to give us an answer back; whether there is something higher to which we appeal, which also responds to our call, our cry, and our tears. Then our faith is strengthened and our hope is enforced. Because if we can have faith in abstract and far-fetched things, then one can sometimes also have false hope – and we can see this. However, for faith to acquire an active character in our life, we need to assign some basis, whether real or invented by us, to that with which we believe we have entered into a relationship; something that can give us an answer, something that can realize our expectations and these plans of ours. But it turns out that one can also have hope in invented things; one can have unjustified hope. We, who hear the reading of the Holy Psalter at the daily services, need sooner or later to pay attention to those verses in which the Holy Prophet David repeatedly states that a sinful man’s hopes will be confounded. And that only genuine hope will be justified. What is this genuine hope? It turns out that it is insufficient for our faith if we have established some relationship; it is insufficient for our hope to know that that there will be a response to our call. We need to know that this response will contain attention, that it will contain genuine interest and concern in who we are, in what we are looking for, in what we want, and in what pains us. We discover that hope is only truly strengthened when that object to which we turn this hope cares for us and loves us. But it turns out that even that is not much. Not only should this object, as I just called it, be able to feel love for us, but we also need to be able to feel love for this subject of our hope, because hope can be unsubstantiated and dictated by our selfish aspirations, egoism, and self-love. If thou prepare thy heart, and stretch out thy hands toward him: if iniquity be in thy hand, put it far away, and let now wickedness dwell in thy tabernacles. For then shalt thou lift up thy face without spot, yea, thou shalt be steadfast, and shalt not fear: because thou shalt forget thy misery, and remember it as waters that pass away: and thy age shall be clearer than the noonday; thou shalt shine forth, though shalt be as the morning. And thou shalt be secure, because there is hope, yet, thou shalt dig about thee, and thou shalt take thy rest in safety (Job 11:13-18). Thus, for our hope to be based in reality; for it neither to weaken nor to become depleted; for it neither to perish nor be destroyed – it is necessary that the person on whom we have placed our hope should love us, and that we should love the object of our hope. But would it not be true to say that we also daily use this great word, love, in a completely profane and debasing context? 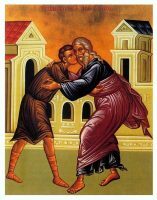 Due to our lack of churching or spirituality – or due to our corporality, materiality, and sinfulness – this word brings to mind images of love that are not at all worthy of hope and do not deserve to be lived for. Therefore it turns out to be insufficient simply to have love, and in love to have hope, and to strengthen hope with love – it is essential that all of these, in the words of our contemporary saint, Paisios the Athonite, be crowned, be betrothed, with the queen of all virtues: Sophia, wisdom, prudence – prudence, which will be able to distinguish good from evil. 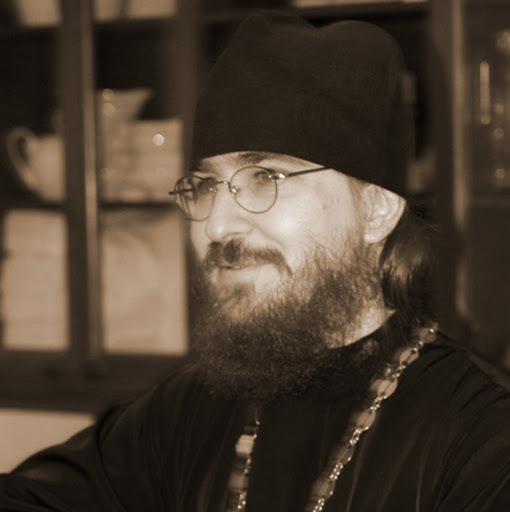 For we read in the life of the Holy Venerable Anthony the Great that he addresses his disciples with the words: many people have exhausted their body with fasting; many people have sacrificed their health and many years on the altar of their ascetic struggle. But it often happens that, after many years of ascetic struggle, these people fall – because their ascetic struggle was not guided by prudence. It was not wise. Therefore the Holy Fathers call the very crown and queen of all virtues that same wisdom that Holy Scripture, and today’s feast day, places at the end of this enumerated series of virtues. Let us strive to live in such a way that we would not be mindless in our actions; that we would not be self-assured in our ascetic struggles; that our faith would be tempered by genuine self-sacrifice for the sake of Him for Whose sake we should sacrifice ourselves. Because He showed us how firmly He loves us, that He was ready to give Himself up for our life. Amen.